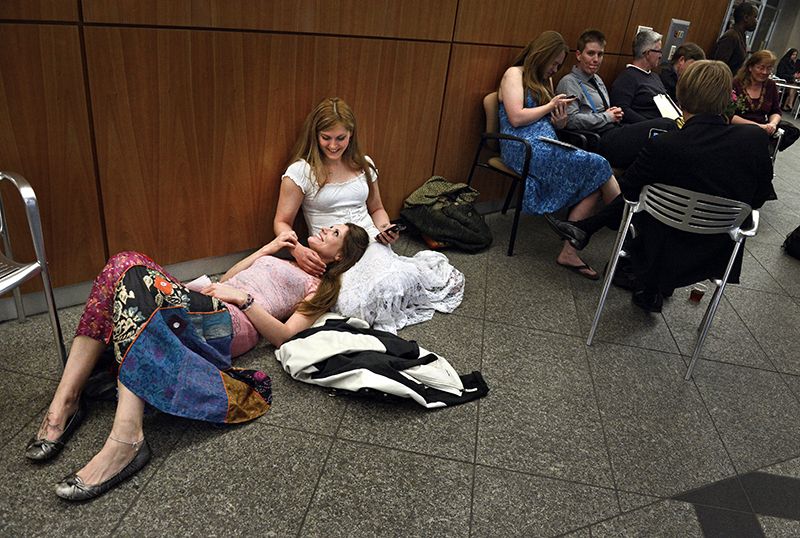 At 3:30 a.m. Sarah Mutter, left, and Isabel Aguirre wait to apply for their civil union license outside the Clerk and Recorder's office. "Other people get to say fiancee and wife, and all we can say is girlfriend or partner," said Sarah, who made her commitment a government affair Wednesday morning with her partner of four years. Isabel added, "This is a big step - for us to be taken as legally accepted."